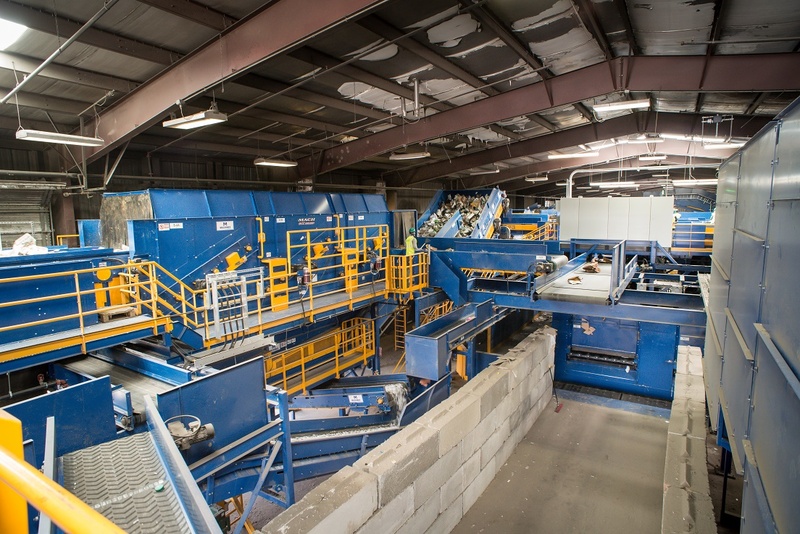 The scene is like what you’d see in most any materials recycling facility (MRF): A stream of recyclables comes barreling down a conveyer belt to be separated and diverted to the proper processing areas before being baled and shipped. But what’s different here is it’s not just human eyes and hands operating the sorting system. Instead, robotic arms dart quickly over the belt picking up objects and tossing them into the right bunkers. The process is guided by cameras and computers capable of quickly identifying and sorting materials and objects of all sorts. Elsewhere, an automated side-loader refuse and recycling truck completes its route. It pulls up to a residence and an arm extends from the truck, grabs the cart and dumps its contents into the back of the truck. Sitting at the driver’s wheel is no one at all. The truck’s route has been programmed to allow the truck to complete its route on its own. These are not scenes of some far-flung future; these are technologies that are being piloted and tested right now. The big questions facing the waste and recycling industry include whether these technologies are viable and, if so, what their implementation will mean for the industry’s sprawling workforce. These technologies are just beginning to be tested in the waste industry and other industries like trucking and manufacturing, but some companies have already seen improvements in operations, safety and the quality of materials. 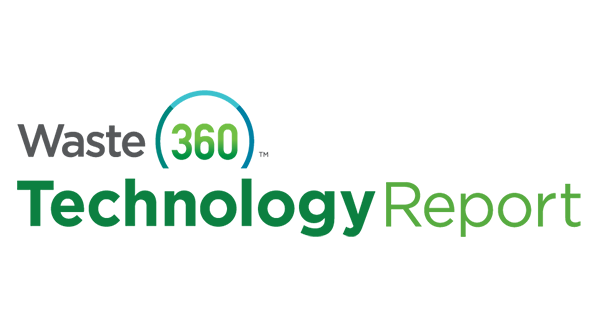 In a multipart series this week, Waste360 will examine some of the latest technologies under development and the implications their adoption will have for the industry at large. Part One examines the use of robotics at MRFs. Part Two looks at what’s happening with driverless trucks and the use of technology to increase industry safety. And Part Three talks about the long-term implications of these trends. In an effort to increase recycling efficiency and reduce contamination, waste and recycling companies across the globe are starting to partner with manufacturers to test out robotics and AI technologies for the sorting of materials. In late March, the Carton Council of North America joined forces with Alpine Waste & Recycling and AMP Robotics to test the use of AI to improve the recycling of food and beverage cartons. Alpine installed AMP Robotics’ AMP Cortex robotic sorter in its facility to test out its sorting functionality. AMP Cortex sorts materials via spider-like arms with grippers and utilizes visible-light cameras to feed images to a computer that uses advanced machine learning algorithms to recognize items on the facility’s conveyor belt. It currently runs about 16 hours per day and has a grab rate of 60 picks per minute, which is higher than a human’s average of 40 picks per minute. One of the things that Alpine is looking at with the AMP Cortex is how it’s compiling data of all the materials that are traveling underneath it. While the company’s main focus right now is cartons, it hopes to receive some valuable data about other materials once AMP Robotics makes the full data function available. Another notable partnership is between ZenRobotics and Recon Services Inc., which have come together to bring the ZenRobotics Recycler from Finland to the U.S. 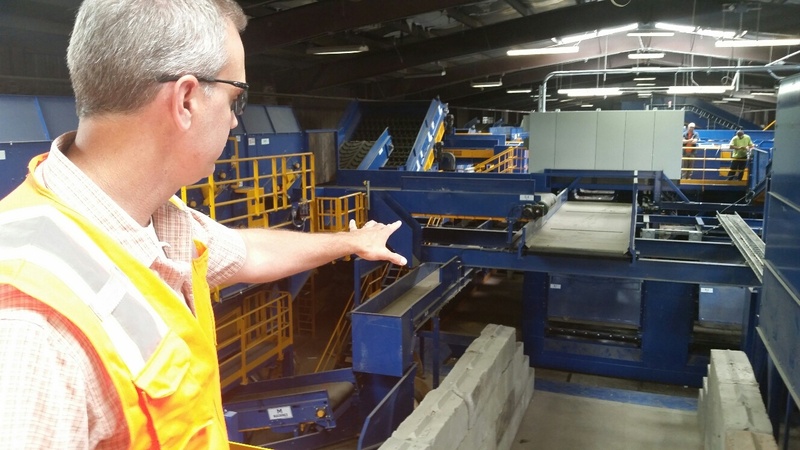 The ZenRobotics Recycler, which is currently installed at Recon’s construction and demolition (C&D) recycling facility in the U.S., reclaims materials from waste via advanced machine learning technology, sorting materials like metal, wood and stone fractions. In addition to its launch in the U.S., ZenRobotics is partnering with Jiangsu LVHE Environmental Technology Co., Ltd., on the first robotic C&D waste recycling facility in China. The first units, which aim to help reduce the country’s massive quantities multiple waste categories, are scheduled to be installed this summer. Taalas believes that robotic technology will make a big change in MRFs because robots are built for heavy 24/7 operations, and they are good at sorting multiple waste fractions in one spot, which makes the cost of installation lower. He also notes that since robots are software controlled, they provide a great amount of flexibility. For example, if you configure a MRF to sort wood, metal and concrete fractions when you first install the device, you can easily reconfigure it to sort plastic, A-grade wood, B-grade wood, metal and concrete six months later. This flexibility is important to MRF operators because factors like material prices and legislation change over time. “Robots create high-quality, pure recyclable material and make it possible to recycle materials that may not have been able to be recycled in the past,” comments Taalas. Bulk Handling Systems (BHS) is the latest manufacturer to create a robotic sorting technology. Max-AI technology, an artificial intelligence that identifies recyclables and other items for recovery, has two immediate solutions: the Max-AI Vision System and the Max-AI Autonomous Quality Control (AQC) unit. The vision system provides information, and the AQC unit adds a robotic sorter to pick out and place up to six different materials from the conveyor belt into sorting chutes. Max-AI is in operation at Athens Services’ MRF in Sun Valley, Calif., where it’s helping to identify and separate polyethylene terephthalate (PET), leaving a clean stream of clear PET on the conveyor belt. The Max-AI technology is part of BHS’ plan to bring autonomous optimization to other MRFs in the near future to increase performance and profitability. Knowing the needs and wants of the industry, robotic technology manufacturers are working to make detection and sorting of dangerous objects a reality.